Any employee designated as Lead Mechanic by PEMCO shall perform work as a Q.C. Inspector for a major portion of the time and assume responsibility for the satisfactory completion and quality of all job assignments. In addition, he shall be required to lead, assign work to, and direct the work of other employees in a given classification and/or a specialized job or operation. This position is responsible for the final quality of aircraft, aircraft systems, and aircraft components in accordance with policies, procedures, requirements, and specifications established by the Company, applicable Government Agencies, and aircraft manuals as contained the approved Maintenance Manuals. This position also performs inspections duties, both functional and operational, on incoming and outgoing fixed wing aircraft. Ascertains completion of aircraft and records and presents same to the customer. Capable of examining all aircraft forms and records for compliance to applicable specifications, AD’s, SB’s, etc., and post appropriate entries to the aircraft historical records as required. Inspects the final operation of all completed work including, components, systems, communications navigation, mechanical, and structural. Limited NDT, certifies, serviceability of aircraft tooling and test equipment. This position will also inspect assigned Company areas for regulatory compliance. Must have a minimum of five (5) years heavy service experience. Must have thorough working knowledge of all forms and documents required to support heavy maintenance service, including, but not limited to Company policy and procedure manuals, FAR’s, AD’s, Service Bulletins, and Maintenance Manuals. Must successfully complete two (2) forty hours General Familiarization courses on the type aircraft serviced by Pemco/Tampa facility. Must be able to read and interpret technical manuals, instructions, blueprints, and drawings. Must demonstrate ability to use, with accuracy, all measuring tests, and diagnostic equipment normally associated with aircraft maintenance and repair practices. Shall have a thorough knowledge of work to be performed within a given classification and/or a specialized job/operation. Must have demonstrated the ability to use good judgment and make sound decisions. Must possess leadership qualities to include the previously demonstrated ability to cooperate and work with others. Must have the ability to perform high quality work in a reasonable length of time, lead, and direct the work of their employees. Must be able to satisfactorily accomplish all job assignments with little or no supervision or instruction. Must have the ability to efficiently and accurately read, interpret, and carry out written or verbal instructions, technical orders, operating procedures, and directives. Shall perform work in his classification for a major portion of his assigned working hours. Leads, assigns work to, and directs all work in conformance with the classifications of employees assigned to him. Instructs other employees in the proper methods and procedures of performing jobs when required. Reads and interprets information, answers questions, reviews work in process, and checks completed work to ensure quality and timely completion of all job assignments. 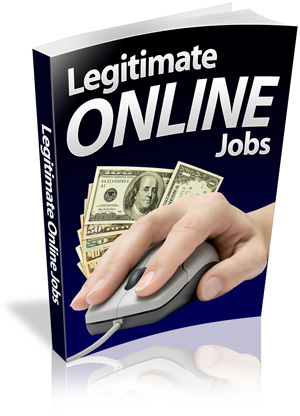 Eliminates ordinary difficulties encountered in regular job assignments. Prepares and maintains records pertaining to job assignments as required. Responsible for satisfactory completion of work performed by employees assigned to him. Refers any matter to his Supervisor which is not within his authority. Shall not have the authority to recommend employees for employment, transfer, promotion, or disciplinary action. Perform other duties as assigned by supervisors necessary for the normal day to day operation, not determined at time of hire. Must be able to sit, stand, bend, crouch, kneel, and walk for extended periods. Must be able to climb and work from ladders, work stands, and other heights. Must be able to work with one or both hands extended overhead. Must have correctable near and far vision. Must be able to hear at conversational level with hearing aid. Must be able to sit 25 pounds. Must be able to handle and maintain control of small parts and to properly operate hand tools.